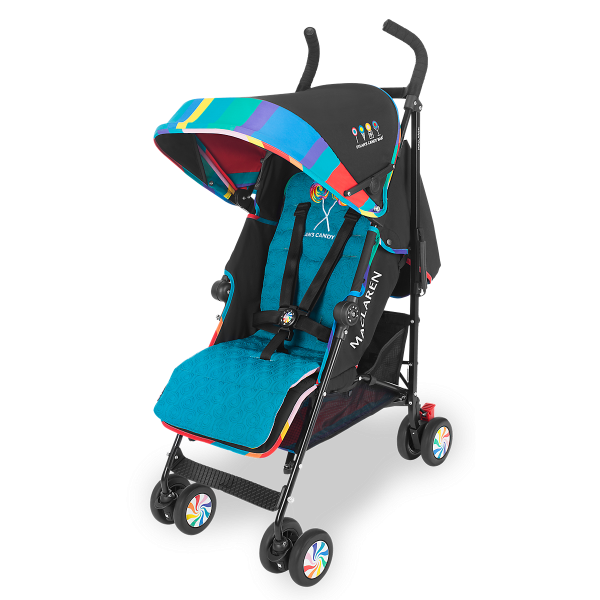 -Can use from newborn up to 25kg. 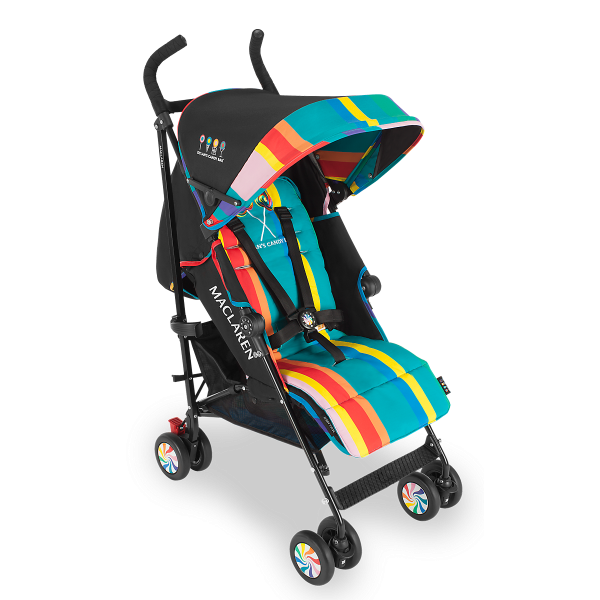 Dylan Lauren, founder of the world's largest confectionery emporium and Maclaren celebrate art, fashion and candy with this sleek black on black Quest buggy styled out in Dylan's Candy Bar's bold and playful patterns - adding a pep to every step. 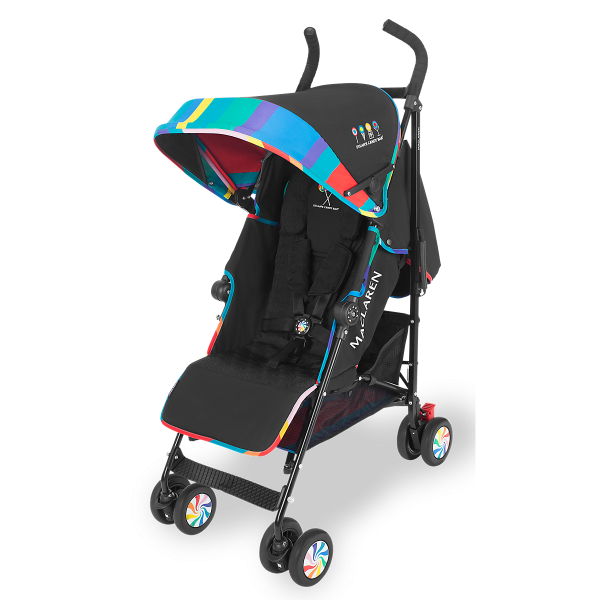 To further sweeten the deal, the one-handed seat recline and one foot operated buggy also includes a reversible quilted seat liner and premium wind-resistant raincover featuring a candy spill pattern, plus a universal organizer and headhugger & shoulder pads. The Dylan's Candy Bar Quest is sure to awaken the creative spirit and inner child in everyone.